though it appears to be somewhere in the Pacific Northwest. 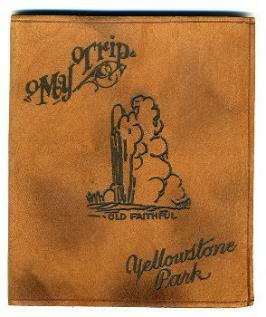 her family improved for the rest of their stay in Yellowstone and on their trip back home. Spokane 2 hrs. before it could be fixed. traveled 305 miles the first day. the Bozeman tunnel, the road went on top of the tunnel. It didn't take long to get to Livingston. of us. All along the road were hot springs. picture of it. It came so close it almost touched the table. walked down and up 494 steps there were 16 landings. Lake and afterwords we ate dinner at Lake Junction. out of sorts with everything. the fire started and Dad tried to find dry wood. to look at the geyser fields that we had missed.